It is a given that the Italians are design masters. In engineering terms, too, they have often been ahead of the game. Whether that held true for the Benelli Sei, though, is a moot point. The Sei was visually impressive, certainly. But the jury was out, when it came to performance. The Sei's six-cylinder engine - sei is Italian for six - looks superb. As do its twin sets of stacked pipes. Horsepower, however, is another story. Even by 1975 standards, the Sei's top speed stat of 118mph was hardly earth-shattering! In the '70s superbike surge, Benelli's rivals - Ducati, Moto Guzzi and Laverda - all supplied quicker machines. It was not as if Benelli did not know a thing or two about fast bikes. They were GP 250cc world champions in 1950 - and again, in 1969. In the case of the Sei, though, the racing success did not trickle down to the roadster. 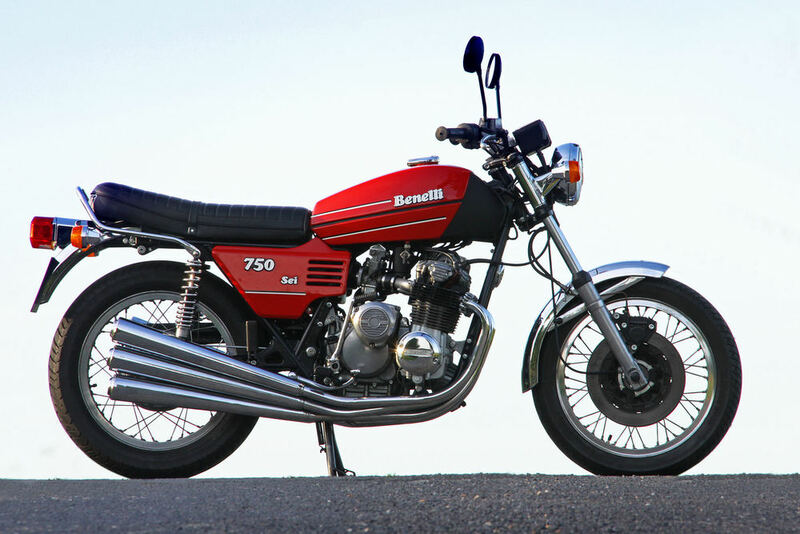 Saying that, the sleek contours of its sturdy 'six-pack' went a long way toward mitigating what the Benelli Sei 750 lacked in the 'go' department!